South Africa is a place where homes, shores and braais (barbecue), welcome you with the widest and the warmest of smiles. Along with experiencing the best of the varied cultures and traditions, enjoy the warmth of great hospitality. Get ready to witness the natural wonders of South Africa during South Africa holidays from India and also cease the opportunity to enjoy close encounters with exotic wildlife and excursions to the structures that bear strong historic significance. Below mentioned are several exciting South Africa travel packages that will make you live an incredible story. The packages meet the specific preferences of the visitors as these packages are available in different durations, budgets and destinations. Indian Holiday has proved its excellence by designing every vacation package with utmost intelligence. Below given are some meticulous South Africa tours. 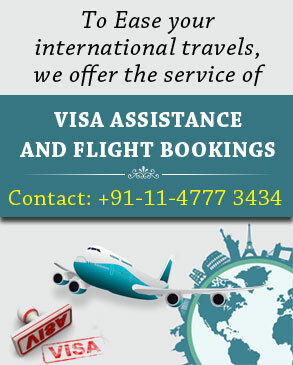 In case of any assistance or booking of any of the travel packages mentioned below, contact by clicking on the “Enquire Now” button and filling the enquiry form.